Uniweb Ecommerce services in Kuwait offering expert ecommerce solutions including ecommerce web designing & development, online shopping platform and payment gateway integration will enhance the online selling. Ecommerce websites are used for commercial transactions through the internet. Our expert team of professionals would help you to deliver proficient ecommerce solution that allow users can purchase products with no obstacle of time and distance. Ecommerce implementation will larger your market place and the same time reduce your business overhead, purchases and sales are possible through your website.Whether you’re a startup, or an established enterprise, Uniweb have an eCommerce solution ready for you. We deliver websites using latest tool and technique such as PHP, .NET, Magento & Ecommerce, etc. Our development team have been experienced with complex ecommerce solutions, so we can assure you the top quality website that gives more return on investment. An online shopping website should meet the client expectations and requirements in order to achieve the space in the competing marketing. Future development is what we foresee and plan for. Our extensible web development solutions provide there are no difficulty in your client experiences even when the number of visitors keeps soaring. 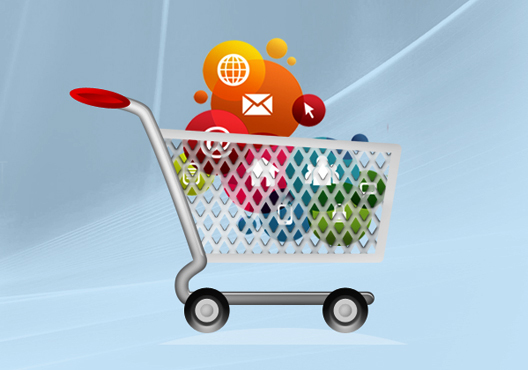 A perfect and error free shopping cart will discard your headaches in ecommerce solution. Shopping cart updates the inventory items in an organized manner. We can offer you the best shopping cart solution for your ecommerce. Our ecommerce websites are compatible with all types of payment gateways and mobile wallets which ensure the secure transaction. we deliver more specific solutions for payment gateway that support payment options such as credit /debit card payment, Net banking ,Cash on delivery, etc. Uniweb IT Solutions will focus on Search engine friendly websites, it helps the website indexed easily and enhance the search engine visibility. We deliver Ecommerce websites which support Search engine features. Website Visibility will increase the number of desired audience enter in to the website. Our experienced tem of professional will design & develop website that can be suitable for mobiles, laptops & tablets, which would be suitable for devices with various size and resolutions. We are using advanced web development tools to build an ecommerce website compatible and responsive to all different devices. Expert Developers in Uniweb ITsolution ,will create simple and easy to use admin panel that can be used to control over your product with in a single window. Without the support of technical team business owner can easily add and update all the product information through the Admin panel.